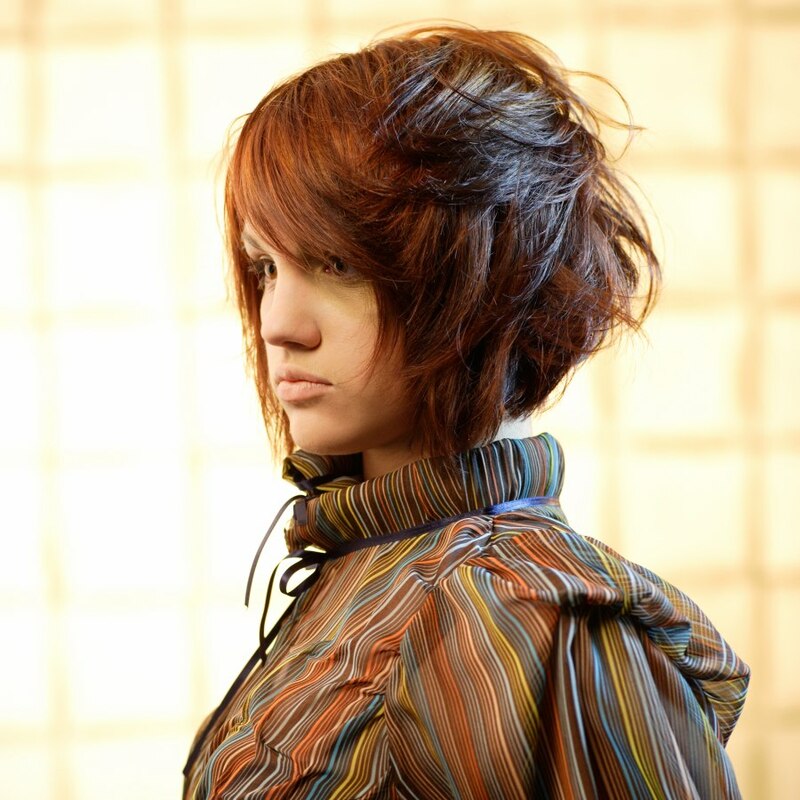 The KSF Hair Collection for Spring-Summer 2007 is a showcase of asymmetrical lines, voluminous layering and soft texturing. 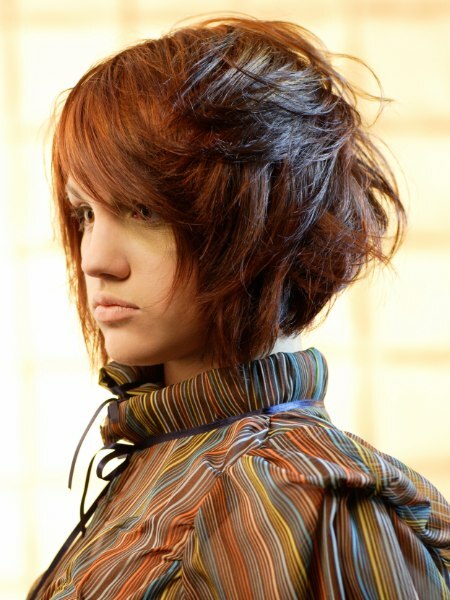 These feminine hairstyles are created using a palette of deep, rich hair colors - spicy, warm reds and cool dark shades - in subtle dimensional color patterns. The structure of the cuts emphasizes the asymmetry of design. The cuts are executed using seamless undercutting, and varying degrees of graduation in opposing areas to enhance the asymmetric elements.